As some of you may know, the FWS, supported by Ken Salazar of FL and HSUS and PETA, has announced the addition of 4 species of constrictor snake to the Lacey Act's list of Injurious Wildlfie. First, I would like to explain how this came about, and how they got away with it, so people understand what we're up against. Burmese pythons, like so many other non-native species were found breeding in the Everglades. The senator, along with the media, conspired to make this a 'Big Deal'. Melaleuca trees, however much more damaging they may be, just don't capture public interest the way giant snakes do. The snakes were accused of 'decimating' the Everglades, and eating everything in sight, and of posing a threat to children and pets. Next, bills were proposed to add all non-native species to the Lacey Act. This bill, which would have banned everything from gerbils and parakeets to the pythons, was defeated. A series of additional bills were proposed--first, one attempting to list ALL python species. Then, one attempting to list 9 species of very large constrictors. All were defeated, with the help of the reptile community, and the lobbying organization USARK. (United States Association of Reptile Keepers). Now, they've gotten clever. By taking only 4 of the species they want to list, and listing them first, separately, they have lowered the estimated economic impact of the addition below the level which requires a Congressional vote. Transport these animals across State lines (in any fashion, for any reason). (This ban will not affect owning, breeding, or selling the animals within the State they currently reside in, if those things are currently legal). Zoos, Educational Institutions, and Researchers can apply for a permit to move 'injurious wildlife' for a $25 filing fee, but private owners and breeders cannot. The 5 other species on the original bill are safe, but only for now. If they decide to continue using this loophole, they could attempt to list each of the remaining species separately to avoid the economic impact cap. Beni anaconda (Another snake that doesn't really exist in captive collections). We have no particular reason to think they will stop there. After all, if they discover that this works, why should they? USARK is preparing a lawsuit to fight this ruling, which was supported only by a contrived internal document created by Rodda and Reed in the USGS. The non-peer-reviewed 'Constrictor Report' stated that these snakes could colonize the entire lower half of the US. It has been denounced by all non-USGS scientists as being biased, poor science, and not fit for use as a document to support any legislation. Independent studies have shown that these snakes cannot survive anywhere in the mainland US other than Florida, and, possibly the extreme southern tip of California, due to temperature extremes in the winter, and habitat requirements (obviously rainforest snakes don't live in the desert). What is clear to anyone with common sense is that preventing the interstate transportation and importation of these animals will have 0 impact on the animals in the Everglades. Florida has already passed a State law banning the animals, so it is already illegal to import them into the State. 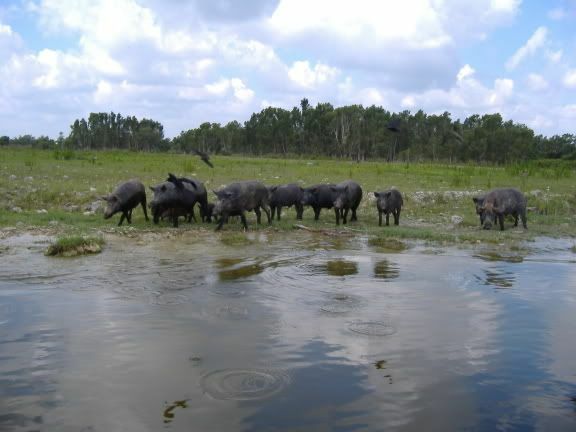 Barring them from being moved around the rest of the country will do nothing to further that, and certainly will not remove any breeding animals from the Everglades. These animals are captive bred in every State in which they are legal. Instead, those who bred these species will be driven out of business. Burmese pythons lay large clutches of eggs, and breeders counted on the ability to sell them online and ship them to their new homes, to stay in business. Hundreds of small businesses may fail because of this rule change. Perhaps worse still, responsible owners of these animals will not be legally permitted to take their animals with them, if they must move from one State to another. If you disagree with this ban, and the underhanded and deceptive way that it was achieved, please write to your senator, and to the FWS, and let them know how you feel. Stay professional. If you want to help in the efforts to overturn the ban, join USARK, and stay updated on their community efforts to fight this damaging law. It will not help the Everglades, or the animals, and will do (and has already done) tremendous harm to families. Best Videos to explain this ban, what it means, and how it happened. Ken Salazar is the Secretary of the Interior. US Fish and Wildlife (USFWS) is one of the federal agencies under the DoI. They have nothing to do with HSUS and PETA. In actuality, the root of the recent Python listing goes back as far as 2006, when the South Florida Water District petitioned the USFWS to place the Burmese Python on the Injurious Species List. Because the USFWS took so long, several FL Senators and Representative kept getting more an more vocal about it. It was ultimately this FL delegation that pushed this through. Personally, I don't think this needed to be a federal law, nor do I think the Injurious Species listing is the appropriate solution to the problems of the Everglades. But, it really doesn't matter because here we are. I do think that online petitions are useless, as is most of what USARK is proposing. I think that all the finger pointing at USFWS, HSUS, PETA, the Media and whoever else is not helpful. If he hobby were to somehow come together and make a plan work with the federal and state governments to regulate itself, they could forestall much of the pending legislation. Accept some form of regulation or permit program that says who can own or breed certain species. That an age or experience level is required before owning some types of animals. A permit system is much better than a ban on ownership, but the ban is where we seem to be headed. I no longer believe that this hobby has much of a chance to pull itself out of the hole it's dug for itself. Years of greed and and overbreeding have brought some of the worst people into the hobby. People who look at the animals and just see dollar signs. As long as this kind of mindset continues, I see little hope of a reversal of fortune. Blaming everyone else fixes none of the problems that brought us here. After all, when you find yourself in a hole, the first thing you should do, ...is stop digging. Well, most of us aren't ready to give up without a fight, and don't have so dark a view of things as you seem to. As for who's responsible for what, HSUS, The Nature Conservancy, and Defenders of Wildlife were huge supporters of the effort to see these species listed, and they put their $$ into it, as well as their advertising. What they did definitely played a role in allow Salazar and the FWS to do what THEY did. Again, this is about the MONEY. Because adding these animals to the Lacey Act accomplishes nothing to help the Everglades, and nothing to help the snakes. It doesn't have anything to do with how naughty or nice the reptile trade has been. There are exotic species from all over the globe in the Everglades, and in terms of damage, the snakes don't even make it into the top 100. Feral cats are doing more damage there than the Burms could hope to. So, don't make this about something it's not. This is not the 'just reward' for bad practices in the reptile industry--it's about politicians and greed, and picking on the most vulnerable for personal gain. Most folks in the reptile industry feel that reasonable licensing and microchipping for dangerous animals is justifiable, but most of the species being targeted for bans aren't dangerous. There is no cause to take away the rights of responsible people to keep the animals they love, and participate in the hobby that they love. We can and we should fight any and all bans on the keeping of pets. What you're saying is the equivalent of saying that banning the ownership of cats and dogs would be fine, because so many are abused, neglected, and homeless. Is that REALLY what you wanted to say? Problems aren't fixed by driving pet ownership underground into the black market. I'm afraid of snakes but I still care for them because many of them are now endangered. We should all help in preserving our animals. Snake faces take some getting used to, but once you are used to them, you can begin to read expression in their eyes (which do move, behind the clear scale that covers them), and in their attitude--posture, body language, etc. Once you can read their emotions, they seem just like any other animal. Most snakes are shy animals. They are pretty defenseless, unless they have venom (most species don't have significant venom, and are harmless). The average snake's bite is less serious than an attack by an overenthusiastic kitten (there's an animal with a vicious streak, lol). Happily, the Eastern Indigo snake, a big, gorgeously iridescent purply-black snake that lives in the Everglades, is one of the species that may even benefit from the Burmese python presence. Indigo snakes prefer to dine on other snakes...baby Burms would make a great meal for them. The Burmese also eat raccoons, opossum, and other mid-level predators that like to dig up reptile eggs to eat. Bobcats were in decline, and these mid-level animals were growing in population, so in that respect, the Burms have temporarily stabilized things, and made it easier for turtles and other snakes to breed. The report on how the pythons have been eating all of the mammals wasn't meant for release, by the way--it only notes a correlation, and not causation, and there are some anomalies that don't make sense if the Burms are responsible for the decline in mammals. The biggest one is the fact that numbers of rats increased, even as raccoons and opossums decreased. Rats are a favorite snake food, and even a big Burm will eat them, so why would their numbers go up? I also think the idea that Burmese pythons in the everglades are responsible for declines in deer is hilarious...few snakes grow large enough to eat a deer, and in that marginal habitat, the largest snakes are the ones affected first in cold snaps, so there are even fewer of them. Even if it were true (which is an absurdity), deer are overpopulated almost everywhere, due to a lack of large predators--the Florida panther is the only one they really have down there, apart from the occasional coyote taking a fawn, or alligator snatching one from the water's edge. There are definitely other, more plausible reasons for the declines...water pollution, invasive plants, overgrazing...etc. The biggest threat to wildlife right now is habitat loss...the second, is invaders brought by humans...by which I mean, our companions, which accompany us wherever we go: rats, mice, cats, and dogs, hogs, and goats. One can only hope that the Burmese pythons that are keeping their toehold in the Everglades will develop a taste for piglet. These guys eat everything--sea turtle eggs, alligator eggs, bird eggs and nestlings, roots, fruit, you name it...and they turn over the ground like a rototiller in the process. They're one of the worst invasive animals of all time.